Following a ketogenic diet could have a positive effect on health and longevity through increasing fat and ketone metabolism. However, there are still some unknowns about the health implications of being on a ketogenic diet for life. Therefore, some investigators have proposed that cyclical (on and off) ketogenic dieting might offer some of the health benefits without some of the risks. For both cyclical diets, the mice alternated between one week of the control diet and one week of the ketogenic diet. These feeding patterns were maintained for the whole life of the animal. The investigators found that despite 75% of energy coming from fat, the HF diet animals did not have elevated ketones. This shows that sometime extreme restriction is required to produce ketosis and to have a beneficial health effect. There were not any differences in overall lifespan between the study groups in this paper, but there was a reduction in midlife mortality (dying in middle age) in the mice fed a cyclical ketogenic diet. The investigators also tested the animals for memory and for physical function. The cyclical ketogenic diet group had improved memory compared to the other groups but no difference in physical function. The authors concluded that BHB exposure in an on/off pattern could be helpful to improve mortality and health through middle age. There is certainly still a lot of work to be done to work out the best way to get the health benefits of the ketogenic diets in a sustainable way that doesn’t increase the risk of other diseases, but perhaps cyclical on/off ketogenic dieting could be one way to do just that. This paper looking at the effect of the ketogenic diet on aging was published in the same edition as the paper above, but has different results! This paper looked at the effect of continuous ketogenic dieting on the longevity and physical health of mice. The comparison groups were consuming a matched amount of calories (so that energy intake was not a confounding factor) low-carb (but not ketogenic) diet and a control diet. 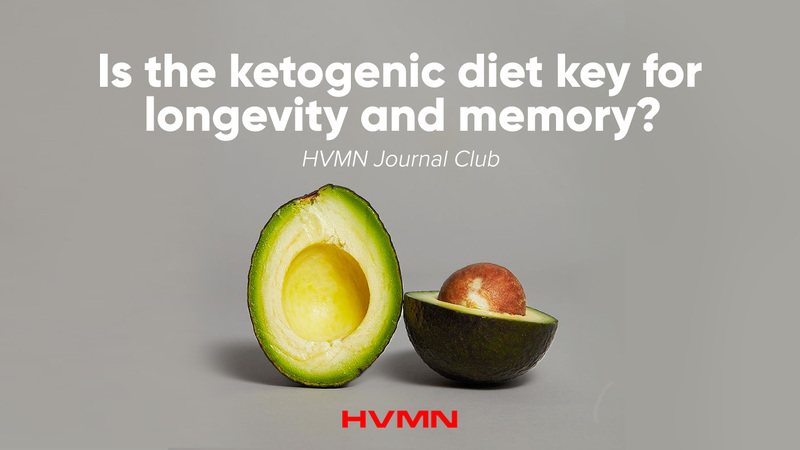 Similarly to the previous paper, this study found that memory was preserved in the ketogenic diet group compared to the other two groups. However, they additionally saw better physical function in aged mice fed a ketogenic diet. Interestingly, the ‘low carb’ (non-ketogenic diet) mices were heavier than the control and ketogenic diet mice. Whilst mice on the ketogenic diet seemed to have impaired glucose tolerance they also appeared to have better insulin sensitivity, which seems a little paradoxical. Finally, in contrast to the results in the previous paper, mice fed the ketogenic diet had a 13% increase in lifespan compared to those fed the control diet. It is interesting that these two papers, investigating very similar research questions in the same species (even the same ‘strain’ of mouse) could produce results that on the surface seem quite different. It highlights the possibility that even with highly controlled science studies, differences can occur that can give rise to differences in interpretation. The highlight of these two papers is that relatively the ketogenic diet and cyclical ketogenic diet did not DECREASE lifespan or IMPAIR physical or cognitive performance. The amount of benefit is unclear, but we can take from these results that doing some self experimentation with the ketogenic diet or cyclical ketogenic dieting is unlikely to make you live less long (if you are a mouse..!) and may help you live longer and healthier (again, if you are a mouse!). It is difficult for obvious reasons to study lifespan in humans, so mouse studies are among the best we can do at the moment!